Jack and Annie of Frog Creek, Pennsylvania, know they have to find one of the four secrets of happiness to help save Merlin the magician. But when the magic tree house whisks them off to a misty island in the middle of nowhere, they wonder how they will find anything. As the fog lifts, they see a huge three-masted ship - could it be a pirate ship? When a small rowboat makes its way to shore, the three men inside don't look like pirates at all. The ship turns out to be the world's first floating science laboratory, filled with sailors and scientists. Instead of hunting for treasure, the ship's crew is searching for undiscovered sea creatures - and for the giant sea monster that seems to be following them! 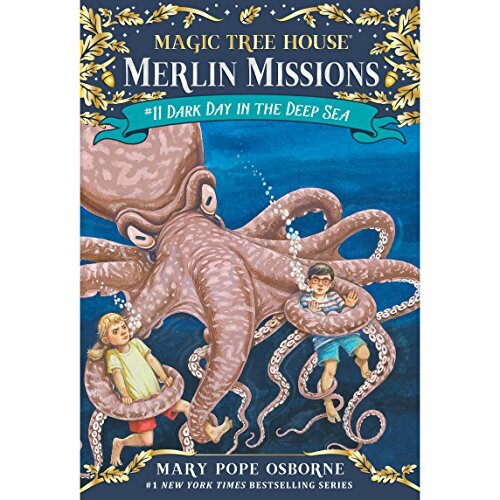 Mary Pope Osborne takes young listeners on a stormy and thrilling ocean adventure packed with history, mystery, and magic.